Last month, the Federal Motor Carrier Safety Administration released significant changes to their CSA Safety Measurement System (SMS). You may ask yourself “what do these changes mean to me?” First of all, the violations you receive during a roadside inspection are uploaded into a Federal database called the Motor Carrier Management Information System (MCMIS). It is from this database the company’s CSA scores are determined but more so, your own safety record. This record is attached to your CDL, accessible for viewing through the Pre-employment Screening Program (PSP). 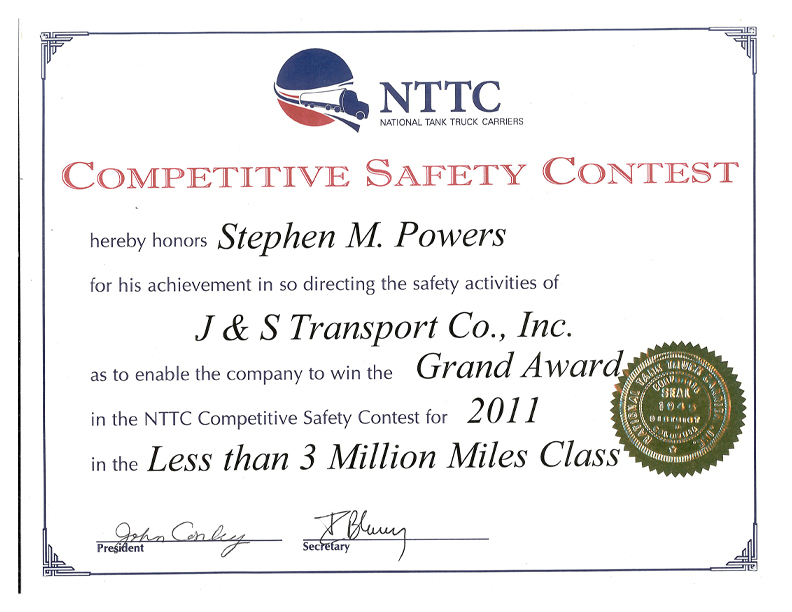 You and the company now share the white hot spot light showcasing both our safety records. Keep this in mind while reading this letter to better understand the program changes and how they affect our livelihood. The Cargo-Related BASIC has been changed to the Hazardous Materials (HM) Compliance BASIC. This change will more accurately identify carriers that transport significant quantities of hazardous materials. You can say that this BASIC will be of particular interest to our customers whose product we transport. A high score in this BASIC will not make our customers feel warm and fuzzy with us. A score of 80 and above will signal intervention by the DOT. The Fatigued Driving BASIC has been changed to the Hours-of-Service Compliance BASIC. This BASIC will now better align paper and electronic logbook violations. You must be very diligent having your logs with you and current! Don’t forget that the new HOS Regulations go into effect July of this year. There will be more information provided as the effective date nears. The release will better align violations included in SMS with Commercial Vehicle Safety Alliance (CVSA) inspection levels. This will ensure recorded violations correspond to the relevant inspection type. This means that violations received in a Level III Inspection (Driver Only) will not be included with violations received in a Level V Inspection (Vehicle Only). This is all well and good however the driver never knows what inspection level to expect. Therefore, you need to always anticipate receiving a full blown Level I inspection having your ducks in a row. The FMCSA is removing the speeding violation for 1 to 5 mph over the posted speed limit in the Unsafe Driving BASIC. This will not have too great an impact on us seeing our recorded speeding violations are usually greater than 10 mph over the posted speed limit. I believe we can all agree I have beaten this dead horse enough. 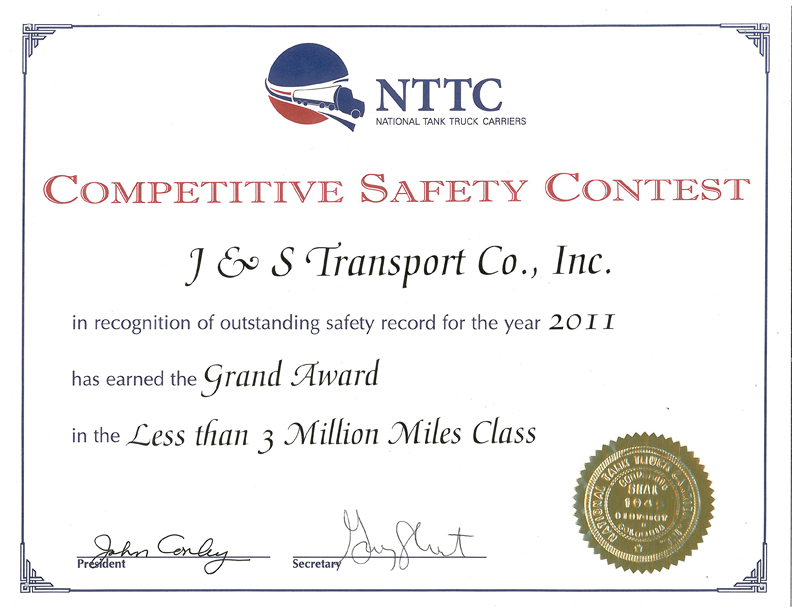 You get caught speeding in a J & S Transport vehicle; know the consequences. As the CSA Safety Measurement System evolves, we can expect further changes to be made. Changes will include modifying peer groups so FMCSA can better compare carriers of similar size and exposure to inspections, basically comparing apples to apples. They are also looking at adjusting the severity weights assigned to violations. As changes are released, I will let you know.